Your Ayia Napa adventure begins when you book that flight. ​As much thinking and dreaming as you do, it’s not really happening until then. 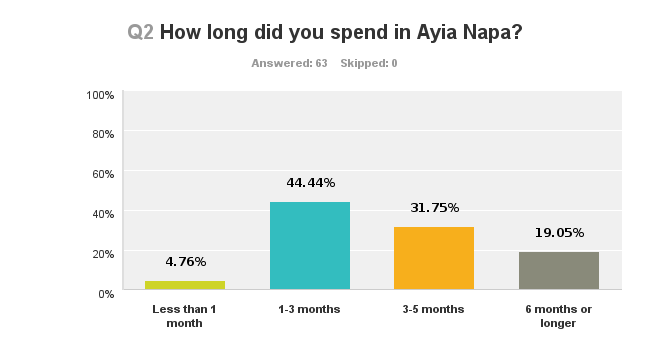 ​Making the travel arrangements to actually get to Ayia Napa is the start of your countdown to the best summer of your life. On this page we’ll give you information on flights; when, where and how to book. Where to book your first week‘s holiday accommodation and other things you need to know about booking your trip. More information on special deals, booking accommodation, flights and transfers can be found in the Holidays section of the website. Cyprus has 2 airports, Larnaca and Paphos. Larnaca is 45 minutes away from Ayia Napa, Paphos is around 2 and a half hours away so you should book flights into Larnaca to avoid a long and expensive journey across the island. Direct flights to Larnaca are available from many UK and European airports and indirect flights are also available from regional airports. Some larger departure airports have flights every day but regional airports may only have one or two flights a week, often on a Wednesday or Sunday. There are more flights between May and October than in the winter months, although some services to Larnaca do start in March and April from main departure airports. Flights are cheapest outside of peak times so avoid Easter and school holiday dates as departures then are more expensive. One way flights are often available at low season for less than €100 into Larnaca from major airports and under €150 from regional airports. Charter flights have set durations so you can only book one way, 7 nights or 14 nights. With low cost and scheduled airlines you can also book a return for up to several months after your departure date but this usually can’t be changed once it’s booked. Flights go on sale around 9-12 months in advance and are often cheaper the earlier you book. You do sometimes get reduced prices nearer the date of travel if you can go at low season (end of April / early May) but you may need to be flexible with your dates or departure airports to find a bargain. The cheapest flights are usually available on-line direct on the airlines website rather than through travel agents as airlines these days don’t pay agents any commission so they will usually charge you a booking fee. ​Most airlines issue e-tickets which contain all your flight details and can be printed off from the airlines website or sometimes from an email they send you. This means you don’t have to worry about losing a paper flight ticket; you can just print it when you need it. Many low cost and charter airlines do not include checked in baggage anymore with flights so make sure you have added luggage onto your booking. 20kg checked in plus hand luggage should be enough for any length of stay. If you do go over your allowed amount of luggage, airlines will charge you at the airport. This can be up to £/€15 per kilo. If you are planning to take more than your paid allowance, you can check if your airline allows you to pre-book excess luggage at a set rate or you can use the services of a company such as Luggage Mule who will organise sending your luggage for you. The following links may help you find the cheapest flights to Cyprus. ​​There are several websites where you can compare prices on flights, accommodation and package holidays from lots of companies all in the one place. This can save you time and may find you a deal with a company you hadn't thought to check. Compare hotels on Hotelscombined, Travel Supermarket, TripAdvisor or ​Booking Buddy. If you’re planning to arrive at the start of season you may find it cheaper to book a package holiday and only use the outward flight and accommodation, especially if there are more than two of you travelling together. Even though you have a return flight booked, you don’t have to use it and you may get flights, a week or even two weeks accommodation plus airport transfers for little more than the cost of a one way flight on its own. The end of April and first half of May is low season so many holiday companies have cheap late deals available then. As most workers accommodations can only be arranged once you’re in Ayia Napa, it is advisable to book one or two weeks holiday accommodation for when you first arrive. This means you have somewhere to stay while you look for a job and some long term accommodation for the rest of the summer. There are loads of holiday apartments and hotels in Ayia Napa and at the beginning of the season and through into June they are pretty cheap for anything up to a month stay. Once it gets to mid June and peak season they become very expensive and are out of the budget of most workers. Some travel agents will be able to book you a one way flight and accommodation for your first week and a one way airport transfer all together which may save you time looking at booking everything separately yourself. Once you arrive at Larnaca airport you have a couple of options for getting from the airport. You can get an airport taxi which operates on a meter and will cost around €60. You can pre-book an Ayia Napa taxi which will cost around €50 for up to 4 people, or you can pre book a coach transfer which will cost around €12 per person. There are no public bus services directly from the airport to Ayia Napa. Essential for any trip abroad, long stay or backpackers insurance will cover any medical expensive plus lots of other important things for your stay in Ayia Napa. Airpro, Playaway and Sunkiss all offer “working holiday” packages with one month accommodation plus a rep in resort. The theory is that they help you find work and you stay on for the rest of the summer. They also include things like a bar crawl, boat trip and pool party. This can be the ideal way to get an introduction to somewhere you haven’t been before but with their small group sizes all living, partying and exploring Ayia Napa together it can be very tempting to just have fun with that group and go a bit wild for a month, then have to go home because you’ve spent all your money, you have no job as you’ve been more interested in the nightlife, and you now have nowhere to stay as your months accommodation has finished. 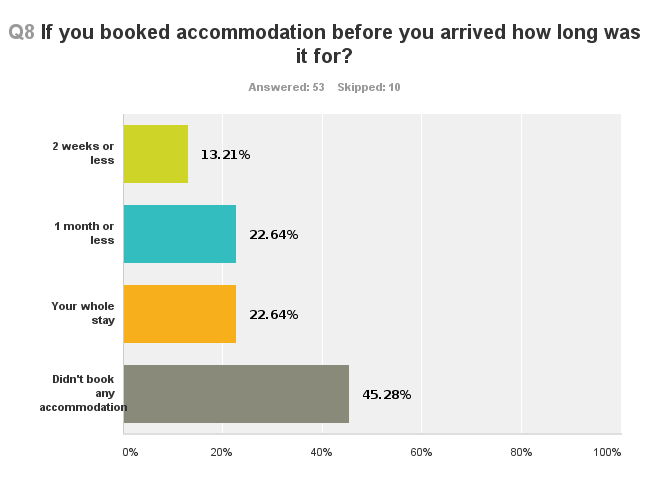 You don’t have money to book anywhere else and the resort will be a lot busier than when you arrived, meaning there is less choice of both accommodation and jobs. You’ve booked your flight, booked a week’s accommodation, organised how you’re getting from the airport to Ayia Napa….. Now there are just a few other things you might need to think about.